New LVR rules are starting in October but the Reserve Bank is widening the exemptions to regulations following consultation feedback. The Reserve Bank of New Zealand (RBNZ) has extended its exemptions to new LVR rules around borrowing for new builds and for rental properties to comply with rental property standards. The new LVR rules mean property investors will need a 40% deposit in order to get a loan. Further, previous Auckland-only LVR restrictions will be extended to the rest of the country. This means owner-occupiers nationwide will generally need a 20% deposit in order to secure a loan. Following on from responses to its consultation, RBNZ has widened some of the exemptions to the new LVR rules. Specifically, when the loan is for a residence that has been completed within the previous six months and which is bought from the developer. Up until 30 September, “the [LVR rules] exemption doesn’t apply for a borrower buying a residence where construction has progressed beyond ground works,” according to RBNZ’s regulations. Exemptions to the LVR rules are also being widened to bring up residences, “to comply with new rental property standards”, such as insulation. 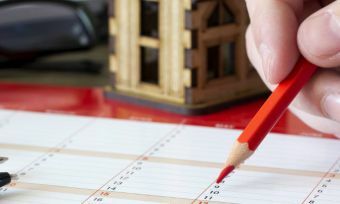 Despite the official regulations only officially coming into effect on 1 October, banks have already enforced the new lending requirements on their own accord. In Auckland, 10% of a bank’s total lending to owner-occupiers can be to borrowers with a deposit less than 20% of the house value. For all of New Zealand, 10% of a bank’s total lending to owner-occupiers can be to borrowers with a deposit less than 20% of the house value. Outside Auckland, 15% of a bank’s total lending can be to borrowers with a deposit less than 20% of the house value. For all of New Zealand, 10% of a bank’s total lending to owner-occupiers can be to borrowers with a deposit less than 20% of the house value. In Auckland, 5% of a bank’s total lending to residential property investors can be to borrowers with a deposit less than 30% of the house value. For all of New Zealand, 5% of a bank’s total lending to residential property investors can be to borrowers with a deposit less than 40% of the house value. Outside Auckland, owner-occupiers and residential property investors treated the same. 15% of a bank’s total lending can be to borrowers with a deposit less than 20% of the house value. For all of New Zealand, 5% of a bank’s total lending to residential property investors can be to borrowers with a deposit less than 40% of the house value. In Auckland, borrowers who include an owner-occupied residence in a portfolio of mortgaged houses are allowed to borrow up to 70% of the value of the entire property portfolio. For all New Zealand, borrowers who include an owner-occupied residence in a portfolio of mortgaged houses are allowed to borrow up to 80% of the value of their owner-occupier home and 60% of the value of their investment properties. Loans to borrowers building a new residence are exempt. The exemption doesn’t apply for a borrower buying a residence where construction has progressed beyond ground works. The exemption applies for borrowers who are owner-occupiers and who are residential property investors. Loans to borrowers building a new residence are exempt. The loan must be for a residence that has been completed within the previous six months and it must be bought from the developer. The exemption applies for borrowers who are owner-occupiers and who are residential property investors. The LVR rules do not prescribe the size of a deposit for new residences. Loans are exempt if used for remediation after a fire, earthquake, or to bring a residence up to new building codes. The exemption applies for owner-occupiers and for residential property investors. Loans are exempt if used for remediation after a fire, earthquake, to bring a residence up to new building codes, or to comply with new rental property standards (for example, insulation). The exemption applies for owner-occupiers and for residential property investors. Low-deposit borrowers using the Housing New Zealand Welcome Home Loan scheme to buy their first-home are exempt from the LVR rules. Low-deposit borrowers using the Housing New Zealand Welcome Home Loan scheme to buy their first-home are exempt from the LVR rules. The Property Institute of New Zealand welcomes RBNZ’s decision to relax LVR restrictions for investors building new homes. In a media release, chief executive Ashley Church says the institute has been pushing for this change. 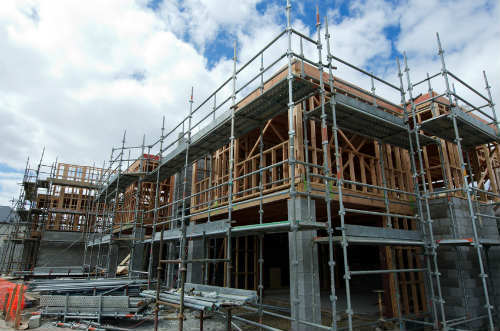 “We’ve always argued that increasing supply is the most important step towards addressing the challenges facing the Auckland housing market – but achieving that will require a massive increase in investment by the private sector,” Mr Church says. “The previous rules provided no incentive to investors to direct their capital into the right places – but this policy change will take us a step closer toward making that happen”. However, Mr Church believes more need to be done to encourage larger numbers of investors to invest in new dwellings. House price inflation will not start to taper off until there is a significant increase in supply. “The supply issue is fixable but it will take a co-ordinated approach by the Reserve Bank, Government and Councils to make it happen,” Mr Church says. The LVR restrictions are one of the macro prudential rules to cool the over-heated property market which, according to a new report, is topping a housing unaffordability list.